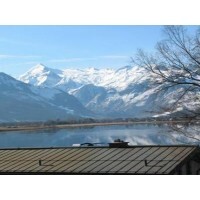 The skiing season just beginning is a confirmation of the growing interest in investment in Austrian properties. So let’s have a brief look at the basic information and trends in property investments with our southern neighbours. The moment you decide to buy the property which suits you, our property consultant in cooperation with a notary prepares the documents relating to the property and draws up a draft contract. It is fairly common that before signing the purchase contract, an “intention to buy” is signed in which both parties, the buyer and the seller, undertake to complete the transfer of ownership by a certain date. On signing it the buyer does not pay any deposit, although fulfilment of the undertaking is thereafter legally enforceable from the other party. The actual purchase contract is signed in person at the notary’s office. The application for registration of the deed with the properties register is submitted after signature of the contract and completion takes from approximately 2 to 4 weeks from submission of the application. When buying a property, the future buyer must allow for one-off taxes and fees related to the purchase. Property purchase tax is 3.5% of the price of the property (excluding the price of internal furnishings). The buyer also covers the cost of registration at the properties register of 1% of the purchase price. The notary charges around 2% (plus VAT) for his/her services. The role of a notary in Austria is irreplaceable; the notary prepares the purchase contract and is liable for compliance with regulations of ownership transfer. Payment of the purchase price also takes place through the notary’s account. It would be good to mention that the above system of payments of the purchase price and related fees does not apply only to older (used) properties, but also to newly built structures. In the case of newly built properties, too, notaries (or lawyers companies) are the guarantors of the money transfer. The money is not paid into the developer’s bank account, but is deposited into a neutral account, so the buyer has the reassurance of safe transfer of money. For this reason, Austrian developers do not provide bank guarantees to the buyer. With newly built developments too, the above one-off fees and taxes apply. 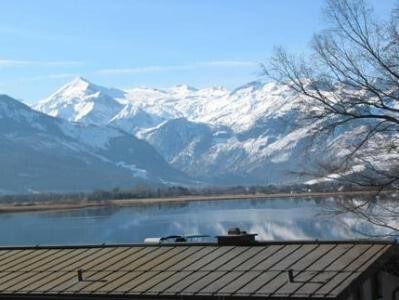 The Austrian market is attractive for foreign investors especially for its properties in the vicinity of ski resorts, many of which were the venue for world skiing championships and are a popular destination for tourists from all over the world (or at least from Europe). Buyers may therefore choose a target region according to their own preference. The most popular resorts are those located near glaciers – firstly these resorts offer excellent skiing conditions and also there is a greater possibility of use throughout the year, which means greater value (and higher price) of the property. In recent years many beautiful golf courses have been developed, with views of the mountain skyline and other summertime activities (rafting, hiking etc.) which offer the owners the option of year-round use or rental. The price of specific properties, of course, depends on their location – in particular their distance from the ski slope, ski bus, services etc. Used properties are generally sold including fixtures and fittings, so the end price also reflects the quality of the furnishings. There is most interest in small flats: studios, separate kitchen or one-bedroom flats in walking distance of the ski lifts or at least the ski bus. Prices start from as little as EUR 60,000, but there are only a few such flats and the buyer must be very careful in their choosing in this price bracket. There is a fairly wide choice of good quality apartments in the 80.000 to 200.000 Euro range. Usually a shared ski room and parking space is part of the sale (sometimes a shared sauna and shared swimming pool). People from many countries invest in Austria – Germans, British, Dutch, Poles, Czechs and, in the area of luxury properties, also Russians and of course Austrians themselves. Such interest offers property owners good prospects for onward sale of their property if they choose to sell – in the case of quality property, of course. The Austrian property market is fairly abundant regarding commercial property investment opportunities. Those interested may invest in small apartment buildings, medium large pensions with a capacity for approximately 30 persons with attached restaurant, up to large accommodation complexes and hotels. Legislative conditions for investment in commercial properties are similar to those for residential, but it is important to be aware of all obligations for operation of the premises.